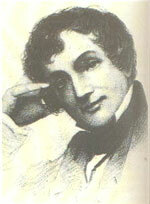 Washington Irving was born in New York on April 3, 1783. His father had come from the extreme north of Scotland, his mother from the extreme south of England; they had become American citizens by the fact of the Revolution a few years before the birth of their son. The elder Irving, a well-to-do merchant, destined the future author for the law, and he was in fact later called to the bar, though he practised little. But his legal education was interrupted by an illness which led to a stay of two years in Europe. After he came home in 1806, he joined with his brother and J. K. Paulding in the production of the satirical miscellany, "Salmagundi," and in 1809 published his first important work, "A History of New York from the Beginning of the World to the End of the Dutch Dynasty" by "Diedrich Knickerbocker." This book, which made him known in England as well as at home, was begun as a burlesque on a pretentiously written "Picture of New York" by S. L. Mitchill; but it soon developed into a comic history in which facts and extravagant fancy are inextricably blended. In 1815 Irving went to England on business, but he was unsuccessful in averting the disaster which threatened the commercial house in which he was a partner, and when he turned to writing again it was as a profession rather than as an amusement. His "Sketch Book" came out in 1819-1820, and was followed by "Bracebridge Hall" in 1822 and "Tales of a Traveller" in 1824. These works met with gratifying success, and the author was now able to indulge in farther travel. During a prolonged residence at Madrid, he wrote his "Life and Voyages of Columbus," and, after a sojourn in the south of Spain, his "Conquest of Granada" (1829) and "The Alhambra" (1832). Meantime he was appointed secretary to the American Embassy at London, a post which he held for three years. When he returned to America in 1832 after an absence of seventeen years, he was welcomed with great enthusiasm by his countrymen, who appreciated what he had done for the prestige of American literature in Europe. He settled for the next ten years in Sunnyside, the home he built for himself at Tarrytown on the Hudson; and later, from 1842 to 1846, was Minister to Spain. His work after he came back was chiefly biographical, and includes his "Life of Goldsmith" and the "Lives of Mahomet and his Successors." His "Life of George Washington" was just finished when he died of heart disease on November 28, 1859. Irving achieved distinction in the four fields of the essay, the short story, biography, and history. In the two latter he produced a number of works written in his characteristic polished and graceful style, with much vividness in the presentation of both persons and events; but he lacked the scholarly training necessary to give books of this type permanent standing as records of fact. In the essay he followed the traditions of the school of Addison, and the best of his work is worthy to rank with his models. It was in fiction that he was most original. Though in England the full length novel was already highly developed, little had been done with the short story; and it is Irving's distinction to have begun the cultivation in America of what is perhaps the one form of literature in which this country has led England. The two tales here published from "The Sketch Book" are the best known of his writings in this field, and they exhibit his characteristic humor, with its blending of fantasy and romance, as well as his exquisite style. Irving was a careful and conscientious literary artist, and, however inferior in genius to some of the great figures who were his contemporaries in England, he was the equal of any of them in his mastery of a fine and delicate English prose. We have had writers more distinctively national, but America could hardly have been more fortunate than she was in the chance that made Washington Irving her first candidate for a place among the writers of English classics.